Maple Ridge, BC, Canada (and Mission) is located in the northeastern section of Metro Vancouver (Vancouver Lower Mainland). Maple Ridge is also referred to as "Rivers of Bounty", "Peaks of Gold", "Deep Roots", and the "City of Festivals". The community is situated on the northern banks of the Fraser River, backed by the peaks of the Golden Ears Mountains. Top attractions, adventures and activities most enjoyed in and around Maple Ridge, BC, Canada and the surrounding areas are hiking, fishing, sky diving, birdwatching, cycling, mountain biking, boating, sailing, canoeing, kayaking, water skiing, horseback riding, golfing, flightseeing, swimming, camping, picnicking, cross country skiing, snowshoeing, ice fishing and snowmobiling. There are over 90+ parks, trails and green space areas in the and around the community of Maple Ridge. Combine Maple Ridge with, nearby, Pitt Meadows and there are over 48+ kilometres of dykes to explore. A few of the more popular, some would say best, activity destinations located in and around Maple Ridge, British Columbia includes the Golden Ears Provincial Park, Rolley Lake Provincial Park, Kanaka Creek Regional Park, Whonnock Lake , Maple Ridge Park and Malcolm Knapp Research Forest. What are the Accommodations, Services and Amenities in Maple Ridge, BC? Maple Ridge places to stay, services and amenities important to travelers include accommodations (hotels, motels, inns, bed and breakfasts (B&Bs), vacation homes, lodges, hostels), campgrounds, tours, guides, attractions, big box stores, nightclubs, restaurants, laundromat, coffee shops, wineries, breweries, spas, grocery stores, pubs, liquor store, banks, gas station, gift stores, and internet service. There are sightseeing attractions, historical sites, entertainment venues, and cultural events in and around Maple Ridge, British Columbia. Some of the top museums, art, entertainment, and cultural venues to visit includes the 1878 Haney House Historical Site, ACT Arts Centre, Haney House Museum, and the Maple Ridge Museum. Because of the agricultural landscape Maple Ridge enjoys a selection of farm markets, garden centres and various agricultural enterprises. Every year the harvest produce quality items like cranberries, hazelnuts, seafood, organic goods, deli, wines, preserves, baked goods, honey, bedding plants and specialty trees. 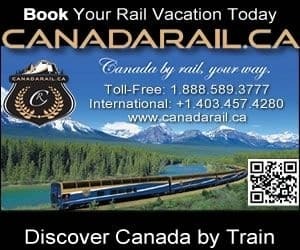 How Do I Get To Maple Ridge British Columbia? Transportation services getting to and from Maple Ridge, British Columbia include the main highway of course (Hwy #7), and then there is taxi, bus, car rental, marina, rail, and the (YVR) Vancouver International Airport (50 minute drive - 53 kms) and the BC Ferries Tsawwassen Terminal (52 minute drive - 59 kms) and Horseshoe Bay Terminal (50 minute drive - 63 kms). eh! Plan to Visit Maple Ridge, BC today.